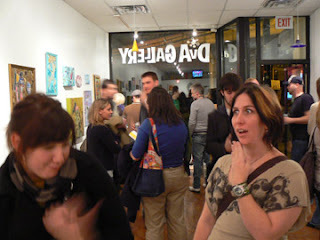 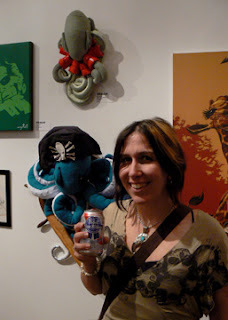 On October 13th Max and I were invited to show at DVA Gallery for the "My Kinda Town" Chicago Artists show. 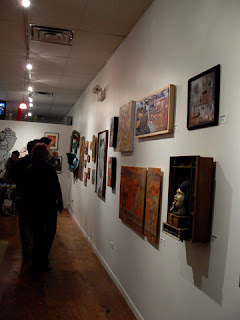 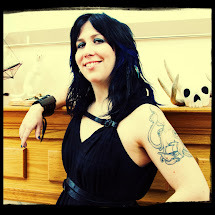 Here are a few photos of the opening to kick this blog off. 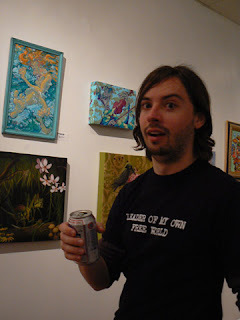 The allusive Mr. Bare and his paintings.